Generally speaking, I am in favor of genre distinctions. They help you find the books that you like. People can complain all they want about how genre ghettoization prevents books from being recognized by the literary mainstream, but whatever. The point of books isn’t to win awards…it’s to win readers. And I see no evidence that the existence of genres doesn’t help books find the right readers. In those cases where genres seem to hurt books, it seems mostly a case of genre miscategorization. For instance, there are lots of uncommercial SF writers who’d be better off being rebranded as literary fiction. But if that’s what you want, then you need to go out and do it. Fire your agent. Get a new one. Make him only market your novel to literary imprints. However, there is one genre distinction that I find to be a bit perplexing: Women’s fiction. Women’s fiction is basically the big sister of chick-lit. It’s fiction targeted at women who are in their thirties and forties. It usually features protagonists who are in their thirties and forties and fifties, who have children, and are dealing with professional and personal failures and are trying to gradually come to terms with their own mortality. But what’s weird about that is…well…that’s exactly what most literary fiction is about too! So then what’s the difference? I liked The Love Affairs of Nathaniel P so much that I thought it’d be worthwhile to read some other much-hyped novels of the past 5 years. However, I quickly realized that I wasn’t in the mood for stuff like Freedom or The Marriage Plot. Instead, I found myself drawn to some of the women*. However, in browsing Amazon’s “Customers Who Bought This Item Also Bought” sections, looking for more hyped-up books, I soon found an interesting phenomena. It was possible, by clicking through those sections, to very gradually shift between literary fiction and women’s fiction. The differences between the two were subtle, but, to my mind, fairly clear. 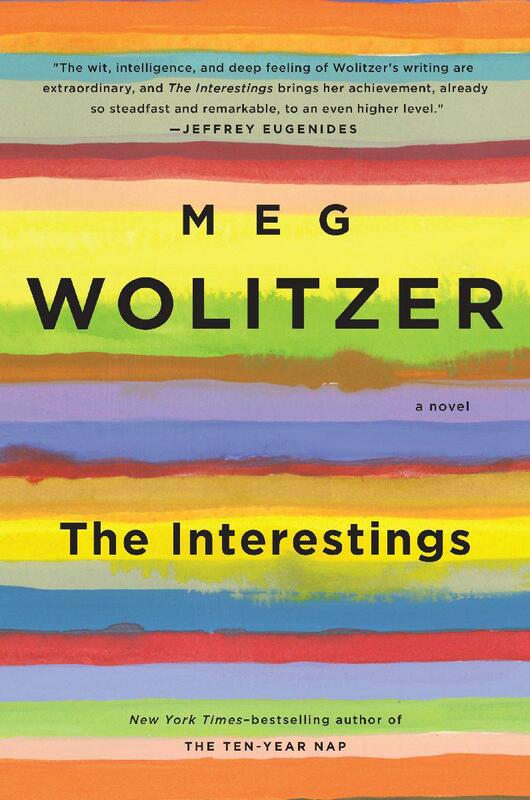 Like, take this Meg Wolitzer book, The Interestings. It’s got an abstract cover. Its author is a professor in an MFA program. And although it’s got generally good ratings, there are plenty of bad reviews on there too. When you read them, you realize that almost all the bad ones are from peoples whose book clubs selected it. This novel needs major editing. I only finished it because my book club chose it. None of us liked the endless whining and repetition. Based on the reviews, I wanted to like this book. But if you click through the “Customers Who Bought This Also Bought” section, you’ll soon come to Where’d You Go Bernadette, by Maria Semple. This is a novel and an author that I’d never heard of, even though it has twice as many Amazon reviews, and the average review is much more positive. I wanted to like it because I enjoy a break from serious literature with a quirky, fun, light read. This was indeed a light read, but it was not otherwise any fun at all. There’s a very clear distinction being made here. But it’s also a very fine one. These books are both in the same section of the bookstore. If there were no authors between Semple and Wolitzer then nothing would stop them from being shelved next to each other. They’re both about children and middle-aged women and aching sadness and loneliness. Unlike for most genres, there’s no clear structural or thematic divide between the two genres. And yet…each one manages to get to the people that it’s meant for. However, I do wonder, in this case, how well-targeted these things actually are. I’m suspicious of genre distinctions that are made entirely on the basis of quality. It seems like there are plenty of literary readers who’d enjoy Semple’s novel, but will never pick it up, because of how it’s marketed. And there are many general readers who’d enjoy Wolitzer’s book (which is actually extremely readable), but won’t pick it up because they might think it’s difficult. *I enjoyed The Interestings alot. And now I’ve moved on to Claire Messud’s latest, The Woman Upstairs. My first book fell into the world of “women’s fiction.” Women’s fiction is what a lot of women read when they simultaneously a) care about what people see them read/what they “ought” to read and b) want to feel smarter than what they are reading. Most of my reviews were along the lines of “frothy but fun.” “Light but enjoyable.” “Easy but entertaining.” The “but” in my reviews became all-important. It appeared in review after review. take away the “but” and both words are positive. Put in the “but” and the first word becomes a negative. “Light, frothy, easy” — these are apparently bad qualities for a book, even a comedic novel about a girl’s life in the old boy’s club of collegiate secret societies. Now I write YA, where “fun” and “enjoyable” are not BUTS. They are considered a feature, not a bug, which is why their popularity has skyrocketed. There’s even one well respected trade review source, VOYA (Voice of Youth Advocates) that grades all their reviews on a “quality” and “popularity” scale. Because they know that there are a lot of books whose very worth lies in the fact that it will draw in young readers. THat it’ll make them WANT to read. Every year, library associations put out “books for reluctant readers” — books they think will capture the interest of even the kids who say they don’t like to read. The instance of “but” in my trade reviews are almost nonexistent since leaving WF, and my last review from VOYA got a coveted 5p/5Q rating (“starred”). For some reason, too many adults, and too many adult readers, think a book has to be dense to be worthwhile, even if “dense” is not the style of book they like to read. Great point about the ‘but’. It’s funny you bring up Nick Hornby. I’ve actually heard him described by industry professionals as “women’s fiction” for men. But he’s one of the only guys doing that style, so there’s just not enough for a separate genre. I agreed with the vast majority of this article, but I’m a bit confused by this sentence: “I’m suspicious of genre distinctions that are made entirely on the basis of quality.” Are you suggesting that literary fiction is better written women’s fiction or in the converse that women’s fiction is poorly written literary fiction? Now there I’d have to completely disagree. Nope, I’m not saying that at all. I’m saying that since women’s fiction and literary fiction are similar in terms of style, theme, content, and audience, then the only reason to say one thing is literary fiction instead of women’s fiction is if you’re asserting that this book is “too good” to be women’s fiction. And, for me, that is not enough of a reason to create a genre. Since, presumably, all readers want to read books that are good, it’s silly to say, “Oh, women’s fiction is just the bad stuff” because then why would anyone read it?